Q: I have an outstanding medical bill from 2/2009 (DOS) for $92.00. I had a debt collector call me today. I am wondering if this medical bill is past the statue of limitations. I live in Florida. A: Thanks for reaching out to me about your $92 medical debt from Feb. 2009. Some debts have a statute of limitations based on where you live; others based on the creditor’s location. Nonetheless, since you indicated that you reside in Florida, I will give you my best advice on that basis. 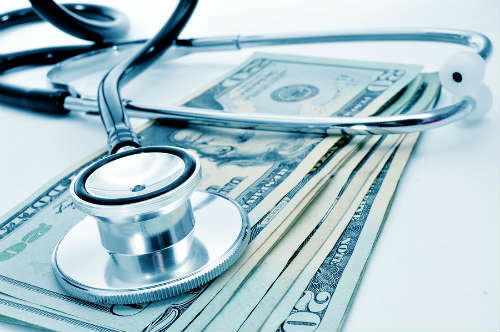 Since your medical bill is over 6 years old, and the statute of limitations for various debts in Florida lasts from 4 to 5 years, it appears that this debt is no longer legally collectable. Consequently, a creditor — whether the original creditor or a third party debt collector – can not legally enforce this debt. If any one did try to pursue the matter, perhaps by attempting to sue you in court (and I seriously doubt that would be the case over such a small amount), all you would need to do is go appear before the judge and claim an “absolute defense” which is that the statute of limitations on this debt has expired. The judge would then throw the case out. If I were you, if the debt collector calls again, I would simply tell him/her that the statute of limitations on this debt has passed and you do not intend to pay a debt that is not legally owed. If they try to threaten you with reporting something on your credit report, don’t even worry about it: that’s a common scare tactic that debt collectors use. But in your case it’s an empty threat because your FICO credit score automatically ignores small bills that are less than $100, so this won’t impact your credit. Also, here is a link to an article I wrote about whether or not you have to pay back an old debt. I hope this info helps you. Good luck!